A trustworthy One page Hospital WordPress theme to appeal visitors’ browsing experience and greatly increase patient satisfaction and retention! 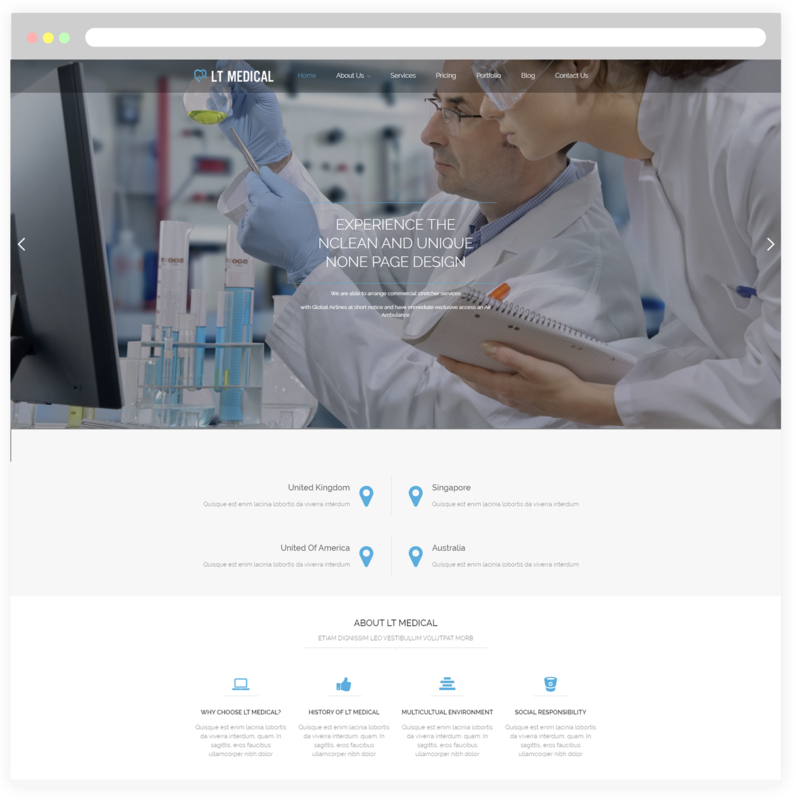 LT Medical Onepage is a free single page version of LT Medical WordPress Theme (multi-page). This elegant theme is a useful weapon to create online marketing solutions and custom responsive website development for health companies and medical organizations. Besides, it organizes detailed information in an eye-catching way about its services such as an excellent team of doctors, emergency, special needs care,…so visitors can be easy to find their necessary information. 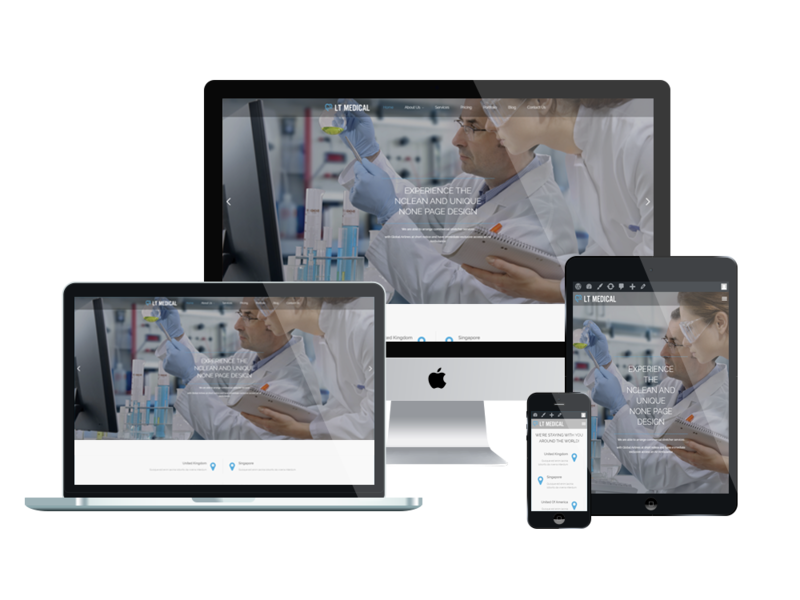 LT Medical is a 100% responsive theme which layouts will be automatically adapted to any possible screen resolution of all mobile devices, all the content will be performed in the best way. It builds from powerful framework with fully bootstrap supporting strong shortcode, drag-drop layout content, Bootstrap CSS & Hybrid framework. 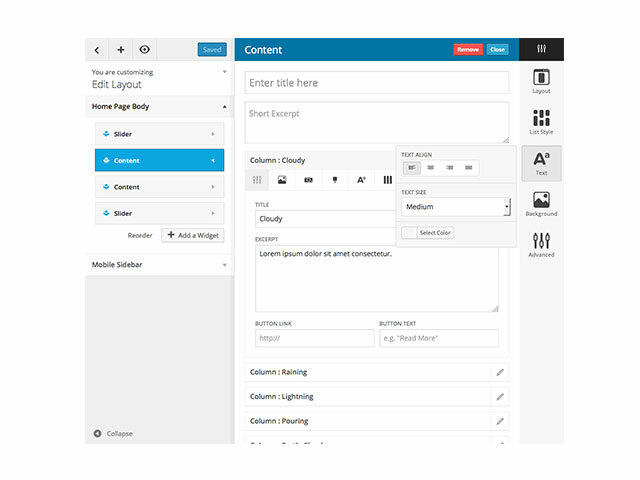 Besides, App Showcase WordPress theme comes with unlimited color and a color picker in the admin panel. Free medicine themes dramatically improve visitors’ browsing experience and greatly improve patient satisfaction and loyalty!